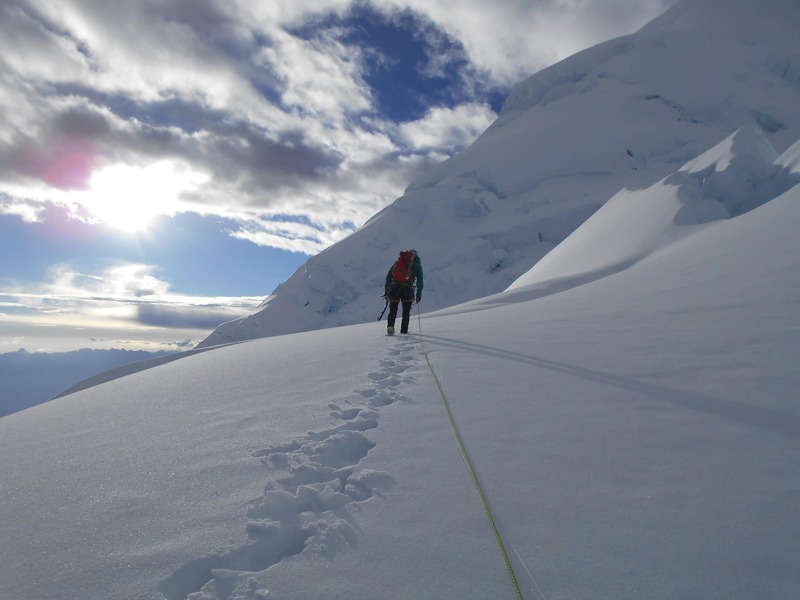 Climbing Huascaran in Peru, is a mountaineering dream. Huascaran is the highest mountain in Peru. Huascaran standing at 6,768m/ 22,205 feet tall. A giant of the Andes mountains. The ascent normally takes 21 days. 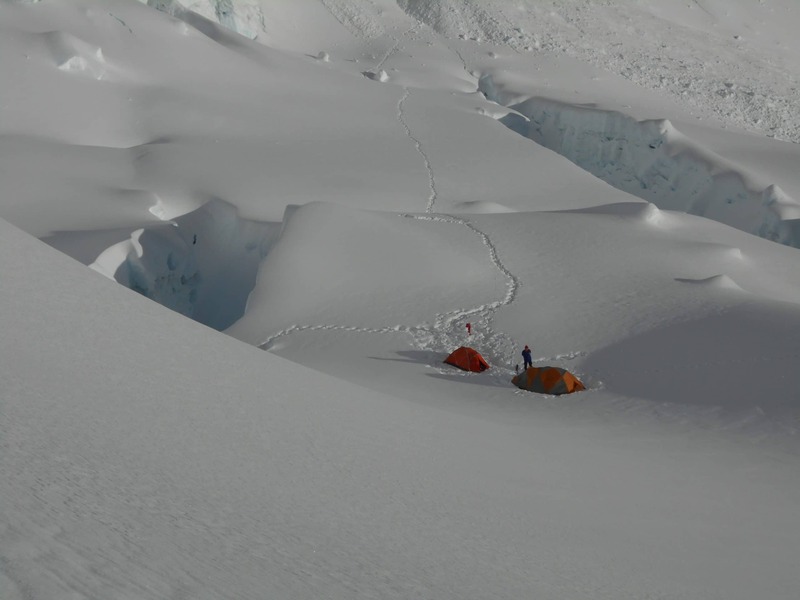 The main difficulties being the large crevasses that often block the route to the summit. Before climbing Huascaran in Peru we advise adding an ascent above 5,000m/ 16,404 feet to give additional acclimatization. We do this on Mt. Pisco, Yanapaccha, Vallunaraju and Ishinca prior to heading high on Huascaran. We include continuous training support and advice along with our booklet on the climb. We have a great professional climbing team based in Huaraz, Peru. 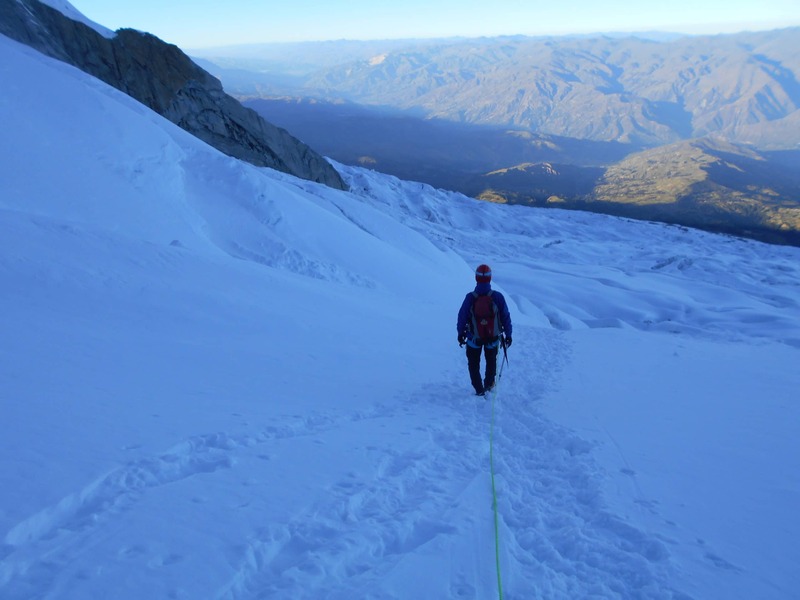 We have lead numerous group climbs in Huascaran. Ian has climbed Everest to the top and lead 20+ trips to Peru. This region of Peru is similar to the Himalaya’s. Giant jagged peaks, in unique and untouched settings. 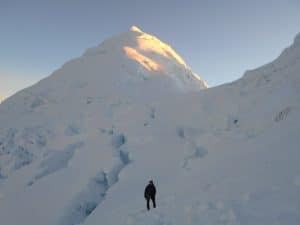 If you are looking to go higher climbing Huascaran in Peru should be on your bucket list of mountains to climb. Huascaran is accessible to you if you have completed our Everest Base camp, Kilimanjaro and Mera peaks. You could also consider doing one of our Scottish winter skills courses or Alpine training weeks. Mt. 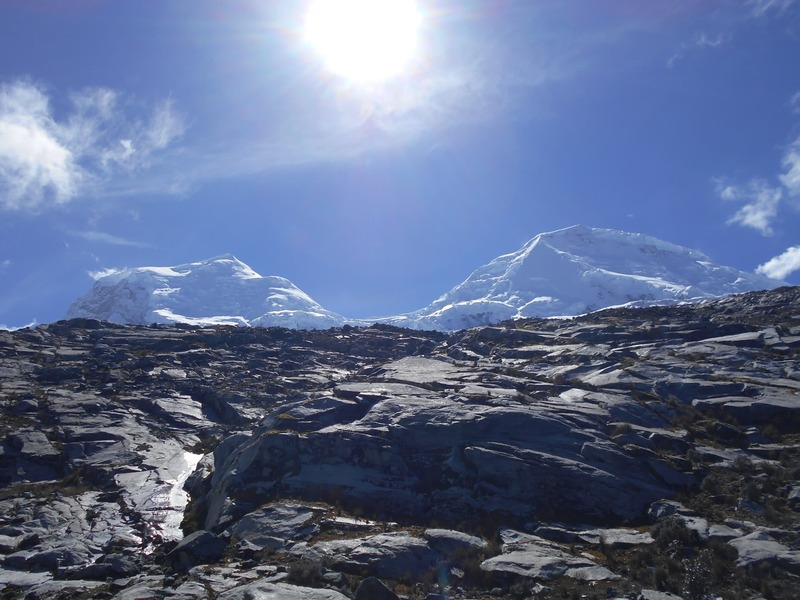 Huascaran is the sixth highest mountain in the Western Hemisphere, Huascaran has it’s own national park. 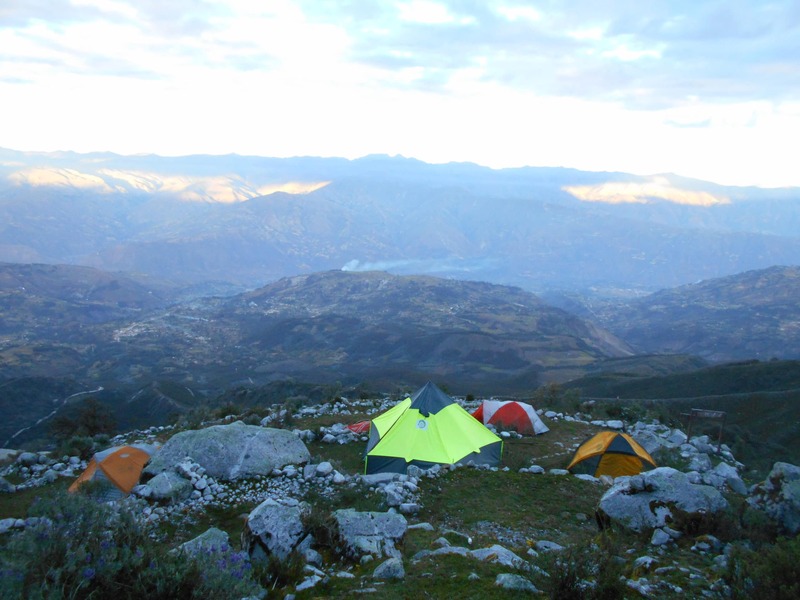 This region of Peru attracts lots of people to trek and climb in this magnificent mountain region. Huascarán is normally climbed on the western side via a high camp in the col that separates the summits, known as La Garganta. After following our acclimatization schedule to climb Mt. Pisco we will move towards Huascaran. 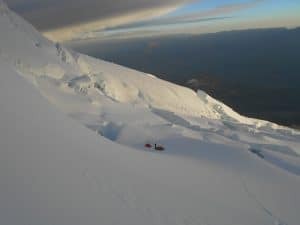 The main challenges Climbing Huascaran in Peru will be the extreme altitude and large crevasses that often block the route to the summit. Check out our itinerary below. 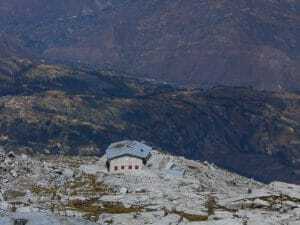 In our acclimatization phase, we can trek the Santa Cruz Trek. 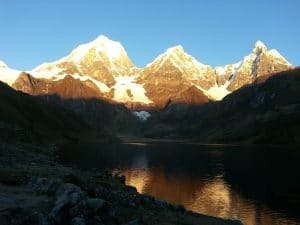 This is a very popular and short trek in to the Cordillera Blanca with spectacular views of the surrounding mountains, crystalline water and lakes with two high passes like Punta Union at 4,750m/ 15,583 feet. and Portachuelo Pass at 4,770m/ 15,649 feet. 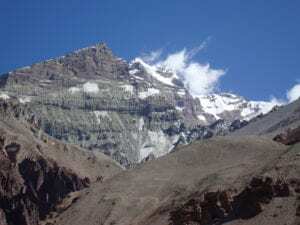 The climb of Pisco mountain at 5,750m/ 18,864 feet does not required you to have previous mountaineering or technical ability, but we recommend it along with previous high altitude trekking experience. The preparation for Climbing Huascaran in Peru does require you to reach the elevation of 5750m/ 18,864 feet on Pisco mountain, before moving on to climb Huascaran at 6,768m/ 22,205 feet. The trails are not that challenging, but the altitude is, so coming physically prepared is paramount. Once you come prepared you will be treated to world class mountain views Pisco mountain. You will see you views of your ultimate goal of Huascaran and other peaks like Huangoys, Artesonraju, Yanapaccha and Chopocalqui. 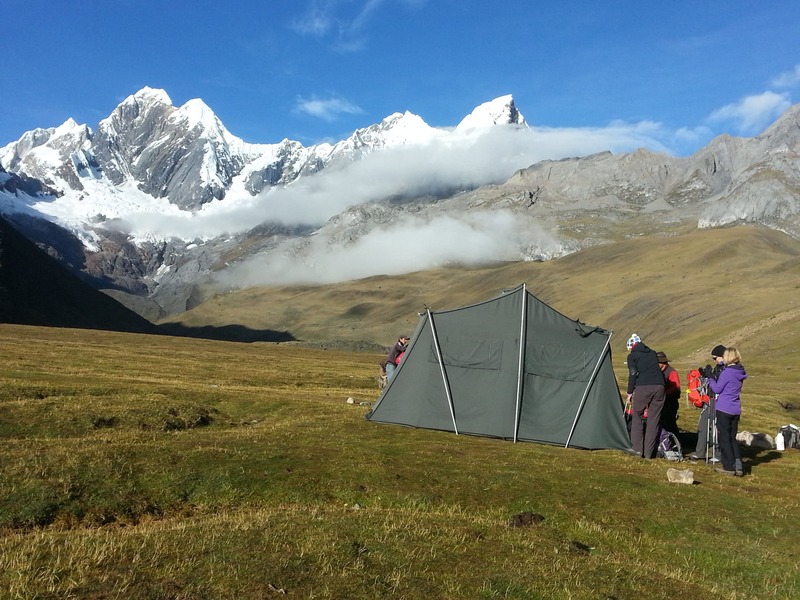 After do Santa Cruz Trek and Pisco Climb, the group will be acclimatized and ready to climb Huascaran. 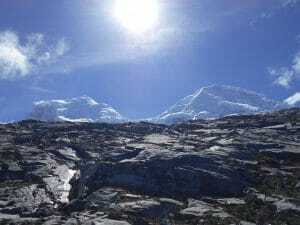 Huascaran is the highest mountain in Peru and the fourth highest peak in the whole of the American continent. Huascaran is surrounded by peaks reaching over 5,000m/ 16,404 feet of height in the Cordillera Blanca which offers of the most stunning climbing and scenery found anywhere else of the world. If you considering joining one of our Climbing Huascaran in Peru you need have gone on one of our winter skills courses, had previous multi-day high altitude trekking and mountaineering experience. 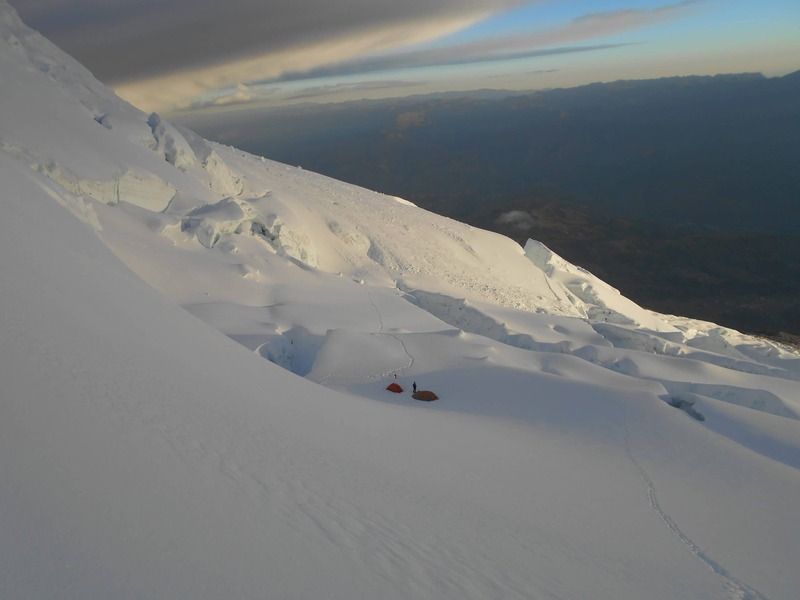 The best month for Climbing Huascaran in Peru are June, July and August. Fly to Lima Peru. 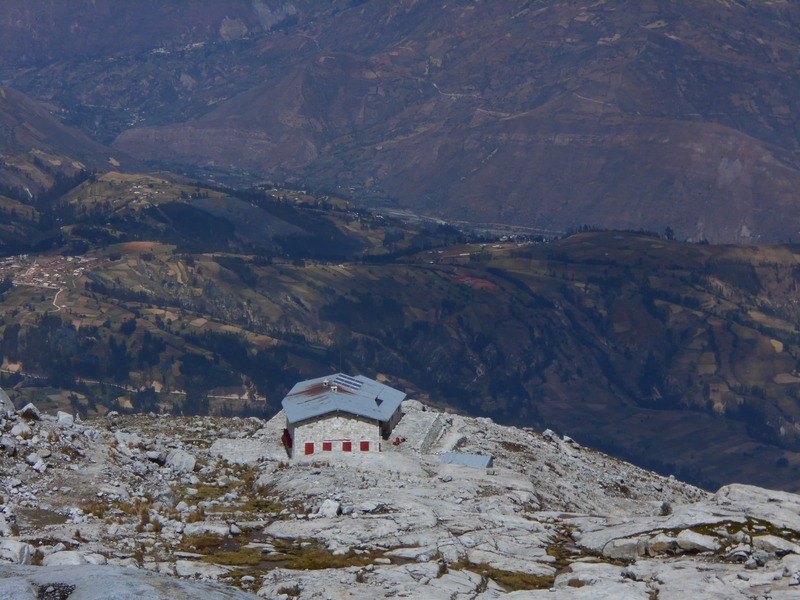 You can be picked up from the airport and drive to Huaraz at 3,052m/ 10,013 feet. We will do private transfer for groups arriving in Lima. 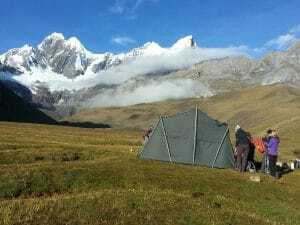 Fly Today will be an acclimatization day near Huaraz and we will aim to get up to 3,500m/ 11,500 feet and then back to Huaraz where you can pick up some last minute items for the journey ahead. 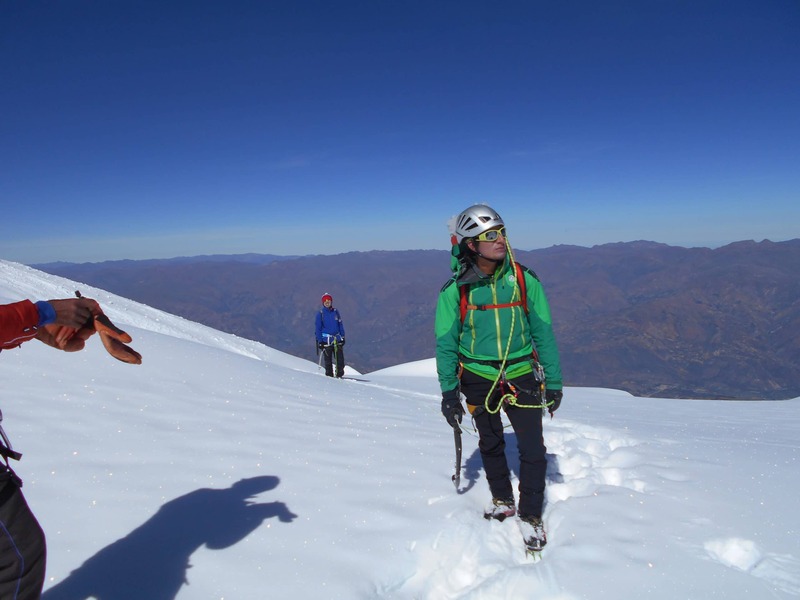 Does this information excite you to take the next step towards achieving your goals of Climbing Huascaran in Peru. If so, get in touch today. We pride ourselves on making sure that our clients have every opportunity to succeed in the mountains, including professional training advice, gear lists and video links on how to pack your bag, and much more. Our Everest base camp trek will not disappoint. We are always available to answer any questions you may have by email, phone or skype, so contact us today!